How can i limit the numerical value someone enters into a field? I have a field which accepts the number of people being booked onto a particular activity and need to limit the form users reponse so they can only enter a number between 1 and 12. Any ideas please as I can only see how to limit the number of actual characters. I have looked at the conditions section but that just seems to be show a drop-down if such and such has been selected etc. I have came up with a solution not so perfect but I think it will do your job. I also got a bonus solution at the end of this answer method. 1. Select the field to be as a required field. 2. At the same menu bar click the validation button and select numeric. 3. Go to setup and embed tab and select conditions. 4. 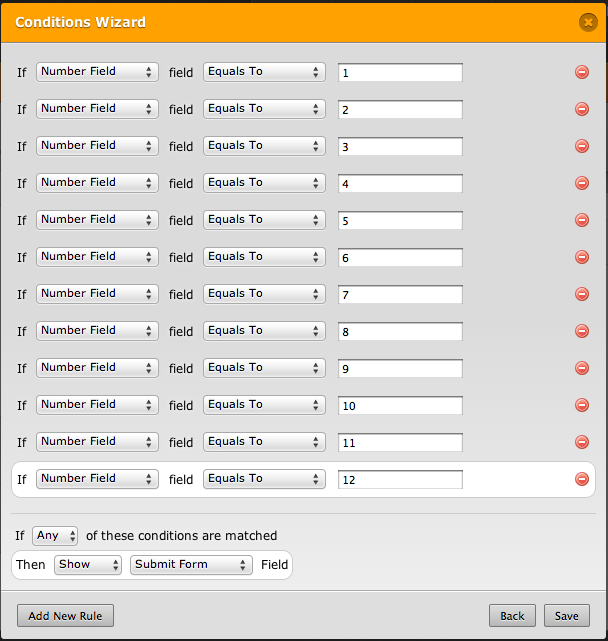 Select the first condition show/hide a form field and click next. 5. Now, this is the part to enter the 12 conditions. Select the field that you want numbers to be filled in, select equals to, and enter 1. 6. 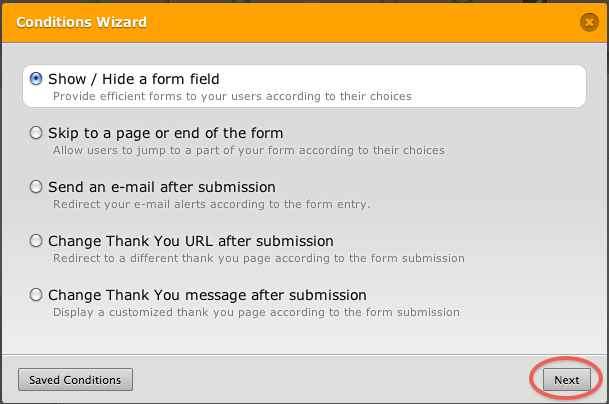 To add other rules, click on the add new rule button on the lower left corner of the wizard and do step 5 for the other numbers. 7. Click save and that should do it. Another method is using a dropdown menu if you don't want any complications. Just create a drop down menu with options from 1 to 12 and that should also solve your problem. I hope these two methods will be helpful to you.